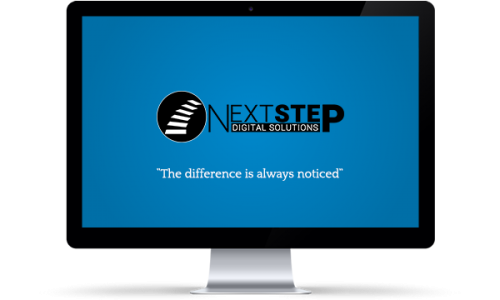 Next Step Digital Solutions excels in designing high performance websites, ecommerce and other digital marketing business solutions that boost sales and cultivates brand loyalty. We serve customers, regardless of size, with a love for what we do and the experience we have gained over the years, partnering with us is a great decision. You are provided with the best designed and developed website. You focus on how to be social, not how to do social. We will do that. Looking for design solutions that have a high visual impact? Are you interested in knowing exactly who your site visitors are? A website is an important marketing tool and must be found in order to be useful. We will get your site into the search engines and make it an option to potential customers. Are you uncertain about how your website is performing? We can do an audit of your website. This report will provide valuable information and help you to decide on your next step. Digital marketing has to do with all your online marketing efforts. We will partner with you to leverage digital channels such as Google search, social media, email, and your website to connect with your current and prospective customers. A professionally designed logo increases credibility which, helps you to make a powerful brand statement. With the explosion of social media usage around the world, these channels have become an important platform for businesses to engage with customers and prospects. Within this report, we will identify your competitors and analyze their strategies to determine how you are to position your own products and or services. This is a MUST get report if you are serious about your business! Website hosting is required so that your website is accessible via the internet. We will get your domain name registered and depending on the type of business you have; we will provide the type of hosting required to meet the demands of your website. It’s no secret that the use of video in content marketing is on the rise. And, it’s certainly not a tactic to be taken lightly. In fact, YouTube is now the second largest search engine on the web. Have you ever considering 3D animation? Let us talk. Getting your business online is our specialty. Establishing an online store may seem like a difficult task. We will walk you through each step of the process to help ensure your online success. From setting up your products to integrating your payment platform. Websites require maintenance from time to time in order to stay in shape. We offer several maintenance services to fit your website needs. We are a team of designers and digital marketing strategist with one aim, to create meaningful designs that you love and your clients can engage with. Our team has over 15 years of creating and delivering results for amazing companies. "The difference is always noticed"
Welcome to Next Step! A representative is waiting to chat with you.